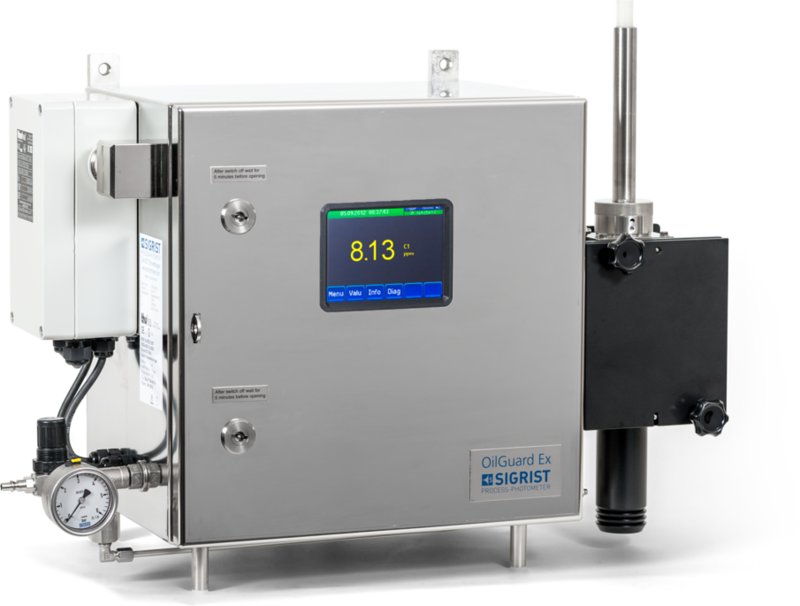 Sigrist's OilGuard 2 EX | TALON Technical Sales, Inc.
Sigrist's OilGuard works on the fluorescence principle. The design uses a free-fall measuring system that eliminates contact between the sample and the flow cell. Adoptions to various types of oil are carried out by means of calibration curves, a control glass makes it easy to check or recalibrate the instrument. A pressurized-enclosure version is offered for areas requiring explosion protection. Dual-beam optics for highest accuracy and stability and minimum maintenance requirements. Applications include produced water discharge or reuse monitoring, detection of oil leakage into cooling water/waste water, monitoring effectiveness of oil separators.